The appeal of full lace cap wigs with a silk base is that the knots are completely hidden which gives a realistic appearance of hair growing from a scalp. 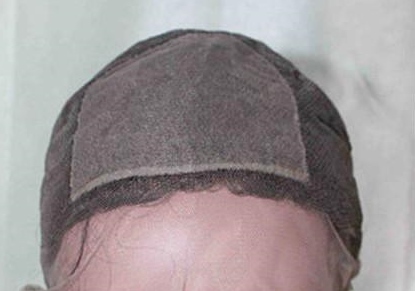 The cap is made from lace, with piece of silk, usually located in the front centre of the cap (see image below) that is either a four inch square or a five inch square and referred to as 4x4 or 5x5 respectively. As the area of the silk can vary, be sure to check the details on the retailing website. The broad method for a silk top lace wig is that individual strands of knotted hair are injected through a piece of silk which hides the knots below (hence the term lace injected). The slightly more detailed description is that the strands of hair are knotted onto the lace cap (below the silk square) and then ventilated through the piece of silk which is on top of the of the lace so that the knots are completely hidden below. Full lace cap wigs with a silk base but without stretch are popular with those who like their lace wigs to sit more closely on the crown and back of head (more snug). The silk base usually comes in light brown, medium brown and dark brown. As the rest of the lace wig cap is made entirely of lace, the measurements are really important so that they match your measurements perfectly: If you can where the universal medium size of a full lace wig, then hooray, but if your measurements are larger than a standard sized full lace wig, then a custom- made full lace wig with a silk top may be the better option. As it’s made entirely of lace, you can your hair through the middle (a half up, half down style, canerows, pigtails and so on). 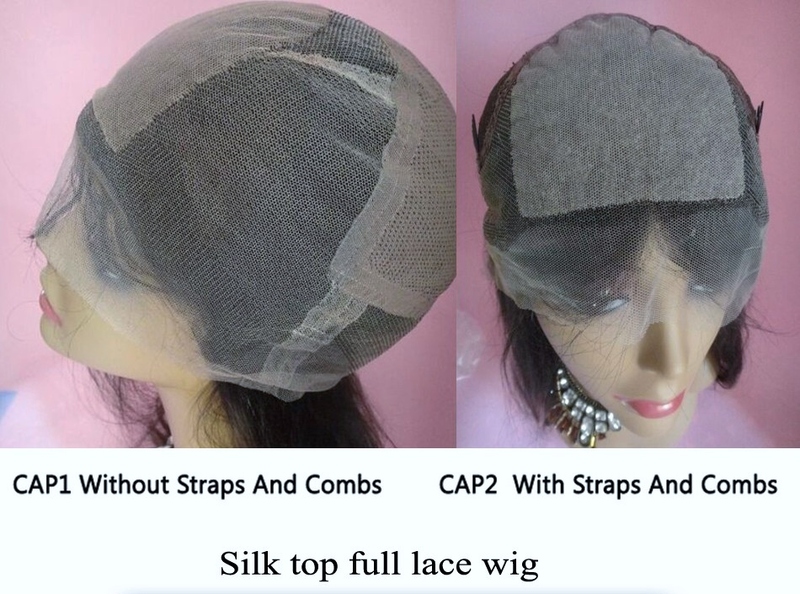 Full lace wig caps that come with a silk base without any stretch panels tend to be used by more experienced lace wig wearers, those with significant hair loss and those who are only seeking custom-made full lace wigs with unique colours and lengths. Naturally you'll need to use an adhesive with this cap. If you're new to full lace wigs it may be a better option to choose a silk top full lace wig with ear-to-stretch or even better still, a lace front wig with a silk base. Whether you opt for a full lace wig with a silk top or lace front wig with a silk top, you'll benefit from hidden knots that don't need to be bleach and a the most realistic impression of hair growing directly out of your scalp. The line between where the silk base ends and the lace starts tends to be slightly visible and although this is unavoidable, the contrast can be reduced by matching the lace colour to the silk (remember scalps are typically lighter than complexion of the face). 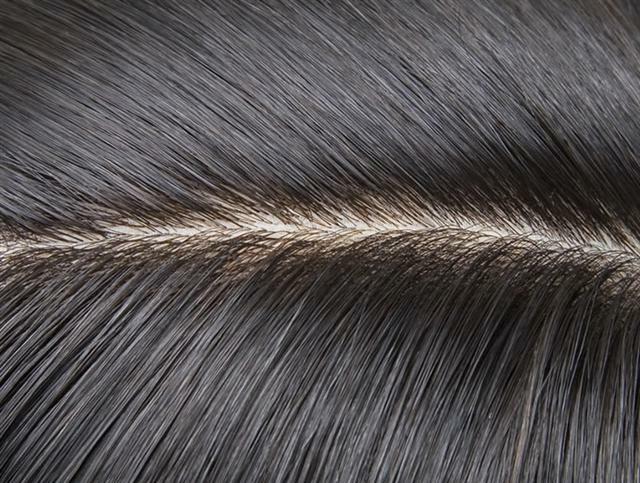 It's also important to remember that the silk base line is only visible depending on how you style your hair. Most standard full lace wigs with silk bases come in a medium colour lace and silk - if you've bought a silk base full lace wig and are unhappy with the contrast between the silk and lace, you can use a fabric marker such as FabricMate markers to adjust the tone. If the silk base is too light in colour you can also use a tried and tested home remedy of dyeing it with tea (yes, you did read that correctly, it wasn't a typo; good ol' fashioned tea) which won't damage the hair, lace or silk. Head measurements for silk top lace wig without stretch have to be accurate as there is absolutely no give. Silk top full lace wigs are more expensive due to the labour intensive technique of ventilating through the lace and silk. There line between where the silk base ends and the lace starts is visible - fabric markers or tea can be used to remedy this. The development of different cap constructions for full lace cap wigs has been a somewhat slow burning affair but the growing popularity of lace wigs has triggered the development of different cap styles. 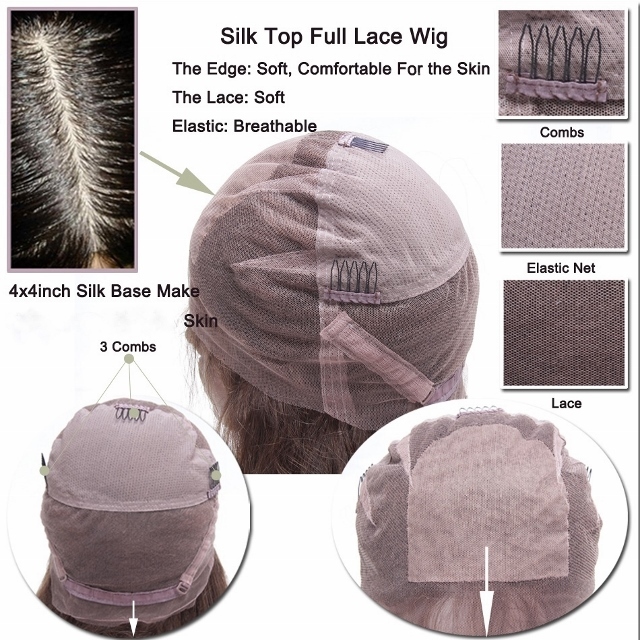 It's easy to be enticed into all sorts of options for your full lace wig cap construction, without really knowing whether you need (or even want) the fanciest-schmanciest version.